Chiropractic offers relief from many symptoms including back pain, neck pain, shoulder pain, migraines, arthritic pain, sciatica and other aches, pains and discomfort. As a new patient at Beach House Chiropractic we extend a very warm and friendly welcome to you. We want you to feel relaxed and comfortable at our clinic and our team will do everything possible to make your time with us a positive experience. If this is your first experience of Chiropractic, you’re great hands. 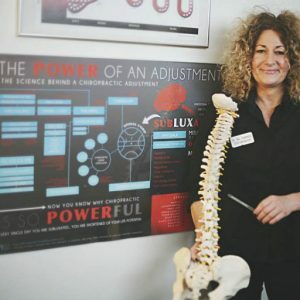 Most people, probably like you, first come to see us to relieve pain but many new patients stay with us and become Practice Members, enjoying our healthcare workshops, wellness care and the evolving range of therapies on offer. Whether your time with us is short or longer, we appreciate your choice to see us and always do our best to give you a great experience. Take a look at our New Patient Web Special here. If you have questions about a first appointment simply call us on (01903) 66 00 94.